Whatever your insurance needs are, let the team at Peter Warren Skoda help find a protection plan that suits you. 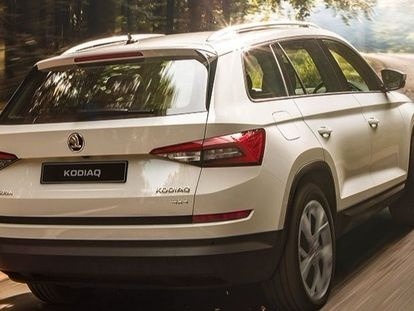 Our ŠKODA insurance solutions are easy to understand, so you can find a package to complement your lifestyle, budget and vehicle, without the hassle. ŠKODA insurance is all about choice and flexibility, which is why we offer a range of different covers that can be tailored to you fit your New ŠKODA. Enjoy total peace of mind, every time you get behind the wheel. With ŠKODA Motor Vehicle Cover, you can drive with confidence knowing that if you breakdown we’ll arrange towing, emergency accommodation, and if your vehicle requires repairing we’ll only use Genuine ŠKODA Parts. If your vehicle is declared a total loss, we don’t want you to be left out of pocket. Whether you paid for your ŠKODA outright or paying off your loan, with ŠKODA Value Protect Cover, we’ll cover any shortfall so you don’t have to. Sometimes life is full of surprises, and if things don’t go the way they’re planned, we’ve got you covered. With ŠKODA Loan Protection Cover, we’ll take care of your vehicle repayments if you lose your job, get seriously ill or accidently injured, or even pass away. For more information about range of ŠKODA insurance solutions, please don’t hesitate to Contact a member of our friendly team today.